This is a film of the Immersion of Ashes of Baba Hari Dass (Babaji), our Mount Madonna Center and Sri Ram Ashram guru who passed away last Fall. 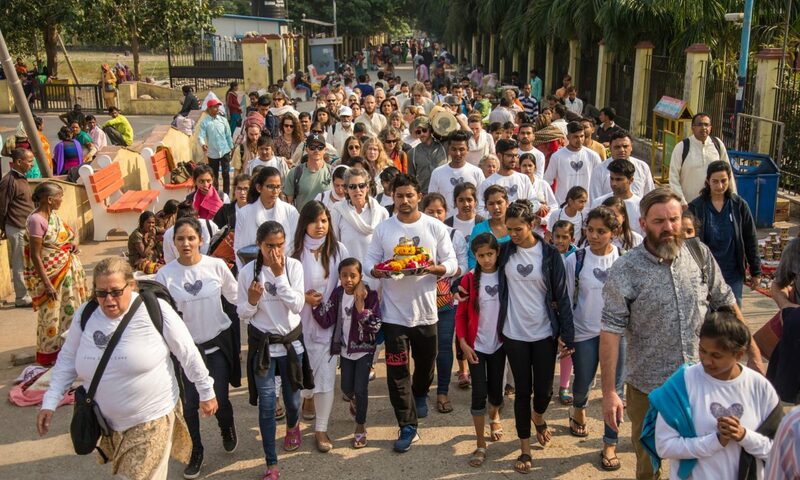 In November, we immersed his ashes in the Ganga river in India. The video shows a puja honoring him 12 days after his passing as well as the immersion of his ashes. Filmed by me and one of the ashram children, Vikash. Edited by me. Baba Hari Dass (Babaji) embarked on his eternal journey on September 25, 2019. While Mount Madonna Center had a shraddha in California 13 days following his passing, we had our own puja here at Sri Ram Ashram near Haridwar, India. On November 19, 2018, we immersed his ashes into the Holy River Ganga. It was a special and meaningful experience for all the children and friends of Sri Ram Ashram. Originally we had planned to immerse the ashes at Asthi Pravah Ghat, where it is usually done, but at the last minute, the Har ki Pauri organization and pujari allowed us to perform the puja and immersion at Brahmakund, which is considered the most holy ghat in Haridwar, as it is where the Amrit fell. After the ashes immersion, some people bathed, and then we performed a puja and arati at Har ki Pauri in honor of Babaji. We booked a puja table on the side of the river where all the fires and main arati is done. Many of the kids wore their new Babaji fingerprint shirts (a heart shape made from Babaji’s fingerprint). We are so grateful for everything Babaji has done for Sri Ram Ashram, both the dream he had as well as the time and hard work he put in to making it a reality. So many children are alive and well off because of him.